The older one gets, the more one becomes acquainted with the death of former friends and comrades. But nothing prepared me for the shock of learning that Alf Filer had died when his car broke down on the A27 and another car, whose driver I understand has been arrested, went into him. I first met Alf at the inaugural meeting of the Labour Committee on Palestine in the summer of 1982. It was just after Israel’s blitzkrieg on Lebanon, when over 20,000 Palestinian and Lebanese died as a result of a cruel invasion aimed at securing Israeli and Phalangist hegemony in the country. Alf had already been involved in battles with Zionists in the consituency of Brent East, when Ken Livingstone was selected in place of the nondescript local MP, the Zionist Reg Freeson. Alf himself stood for Brent Council but was defeated after the local Labour Zionists urged a vote for the SDP. We discussed this as we were driving to Southampton on 13th June, when Alf freely volunteered that being defeated was the best thing that could have happened to him. Alf and being a councillor just wouldn't have gone together! It was last Monday week, 13th June, that I drove a group of UNISON members in the unemployed centre minibus from Brighton to Southampton, to support a demonstration of council staff who have been under attack from the Tory Council, who are trying to cut their pay. On the way we took a diversion to pick Alf up opposite Worthing Pier which made us late! Alf and I saw relatively little of each other after the LCP split in November 1982 after Ted Knight, then councillor and leader of Lambeth Council, but also a member of the Workers Revolutionary Party, decided to arrange for the WRP to take over the LCP in order to show how influential they were with their Libyan/Iraqi paymasters. At that point the division between the LCP and what became the Labour Movement Campaign on Palestine forced people on the left to take sides. I can remember heated debates before National Labour Briefing took sides despite threats to walk out by arch hack Valerie Coultas. Unfortunately but understandably, since he was in the same constituency as Ken, Alf followed Socialist Action in staying with Ken Livingstone (who was then allied with Ted Knight), Charlie Pottins of the Jewish Socialists Group and WRP and a few others who had been taken in. On the bus back from Southampton Alf and I reminisced over what happened, as he had long since recognised the error of his ways and he freely admitted that the WRP had taken over the LCP in order to close it down. Likewise Ken Livingstone at a LMCP fringe meeting at Labour Party conference circa 1985 also admitted he’d got it wrong. Not so Socialist Action, whose only principle was sticking to Livingstone, their future cash cow. Alf was an utterly principled fighter. He was one of the main organisers of the Harrow countermobilisation against the EDL, whose target was a local mosque. The EDL, those good fascist friends of the Zionists at the Ahava and Israeli embassy pickets, were sent packing when over two thousand people joined the counter mobilisation against some 30 fash. A few months ago Alf moved from London to Worthing having retired early as a college lecturer. In a small space of time he had become involved in anti-cuts and anti-racist work and was about to get involved in Palestine Solidarity Campaign in Brighton. He was a borne and tireless activist despite having caring responsibilities, having brought up two sons on his own. Alf was living proof that you can be Jewish without being Zionist. He was someone who had total confidence in himself, extrovert whilst self-deprecating and loud. All, some would say, Jewish traits! He never treaded gingerly around an issue, the proverbial bull in the china shop. That's probably why we got on so well! And he was always just good fun to be with. It was impossible to be angry with him for long, however much he might put his foot in it at times. He was the embodiment of the idea that you can take your Jewish heritage from an anti-racist, class struggle and socialist perspective, not from the narrow nationalism and chauvinism that Zionism represents with its twisted face of hate. Alf later joined Socialist Resistance, a small Trotskyist group that came out of the IMG and a split in the Alliance for Workers Liberty. But Alf was never an unthinking hack always accepting the party line without pause for thought. Experience had taught him the perils of that. When I wrote an article on this blog criticising a comrade of his in the ISG for having taken a right-wing stance in Unison in support of ‘personalisation’ of disability services, Alf wrote to the leadership to ask what was happening and why this was so. And true to form, he received no reply. Unlike so many in Trotskyist groups, who came later to adopt a Stalinist methodology and outlook, Alf remembered that being a revolutionary also means questioning one’s own leaders too. To Alf all I can say is Lotta Continua. The best tribute we can pay to you is to keep the flame alight and the struggle for justice undimmed. Below is a letter Alf had in the Guardian on 3rd January 2009 as Gaza was being mercilessly bombed by Israeli war planes. It sums up his politics. We who are Jewish anti-Zionists fight on the side of the Palestinians because we above all know what racism and fascism means. I have just put another video below. It is of a demonstration against the Gaza War when, with the chutzpa that Alf was so wonderful at, he effectively conned his way into speaking at the rally and by claiming membership of about 3 different groups! whilst Hugh Lanning of PSC looked on whilst Alf denounced the Histradut, Israel's racist 'union', just after PSC had rejected boycotting them. But he made the vital and telling point that Jews above all, having had experience of racism, should be the first to speak out against it. I also link to another tribute to Alf from Martin Francis, who knew him in Brent. I salute you comrade and your memory will live on. Six days of illegal bombing, preceded by months of blockades. The excuses from the Israelis for the bloodbath of innocent civilians are an insult. These bombings are simply crimes against humanity. The EU, UK and US have all contributed to this situation through their agreements on trade and export licences, and funding of Israel. The Palestinians who struggle for survival, in spite of the unnecessary divisions, deserve our full recognition. Israel must be reminded that a "nation that oppresses another nation cannot itself be free". 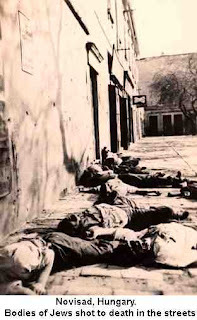 As a Jew, I condemn this massacre. It is not being done in my name, nor will it make me feel any safer as a result. There will not be any peace in the Middle East until the issue of Palestinian self-determination is fully resolved. I therefore rang Sami up and let him know that I considered Atzmon an anti-Semite not an anti-Zionist. Sami was understanding and said he’d welcome my putting Atzmon on the spot. Indeed he even offered to give me first shot and to call me at approximately 5.05 p.m. And Sami was as good as his word ringing me a couple of minutes later resulting in me having to ring him back. It couldn’t be much clearer. There was no death factory in Auschwitz-Birkenau, on the contrary when the concentration camps were abandoned by the Nazis, their Jewish inmates were eager to join them. Clearly there could have been no exterminations there. Atzmon then tried to respond to what he termed his ‘internet now radio stalker’ (apparently criticising the great man counts as stalking!) and when I began laying into him for his lies and duplicity, and I repeatedly asked him how holocaust denial had anything to do with support of the Palestinians, he tried to interrupt. Eventually Sami told me that it was time for the adverts and I would be brought back in after the interval. And the radio connection to my phone continued as I listened to Atzmon trying to defend the indefensible. But I wasn’t called. In fact no one was called. A phone-in programme had turned into a monologue. Atzmon doesn’t like criticism and is particularly bad at responding to it. When I phone in on another line I was told firstly there was a technical fault and then that Sami Ibrahim had decided just to interview him. It became clear from this conversation with the staff member that Atzmon had insisted, if he was to continue allowing himself to be interviewed, that I not be allowed to call him to account and Sami Ibrahim had bowed to his dictat in order to allow the programme to continue. The result? No phone in programme! Atzmon struck me though as a man who has ready very little about Zionism and what he has read he takes as gospel. One of the few books he has read is Shlomo Sand’s book ‘The Founding of the Jewish People’ an excellent book, though not unproblematic, which I have reviewed in a number of publilcations. The problem is that Atzmon doesn’t understand it and he thinks that because Palestinians are more genetically akin to the ancient Jewish farmers, that gives them the right to their land. But this is nonsense . The rights of the Palestinians derive from their position as an indigenous population being displaced by largely European settlers, regardless of their genes. 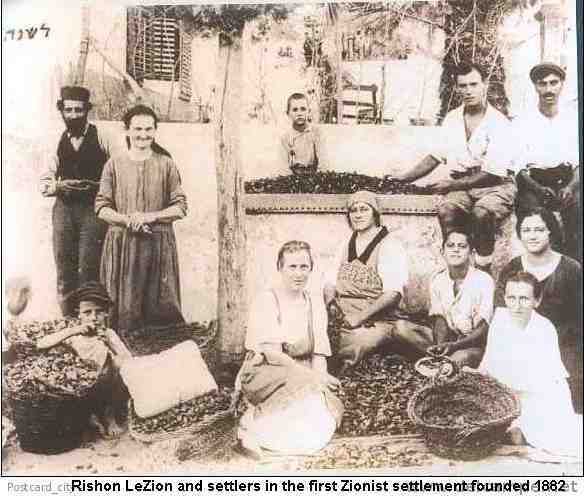 Likewise Atzmon believes that until 1927 Ben-Gurion believed in assimilating the Palestinians rather than expelling them and attributes the latter to a post-1927 Ben-Gurion. 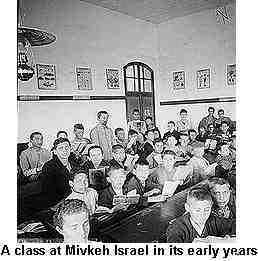 In fact expulsion was on the agenda from the moment the Zionist movement was born. Ahad Ha’am castigated his fellow Zionists as early as the 1890’s in This is not the Way and other essays. Jewish Labour and Land policies took shape from the early 1900’s as a reading of something like Ben-Gurion’s Rebirth & Destiny would confirm. Brit Shalom, the Zionist peace group was founded in 1925, by people like Arthur Ruppin. But despite being wholly ignorant Atzmon gives the air of someone who knows what he is talking about. Which is why he fought shy of having to confront my criticism of his anti-Semitism and ignorance. Despite believing the holocaust is a ‘narrative’ rather than a fact, Atzmon was strangely reluctant to discuss this, preferring a monologue. But in stupidity stakes ‘Bob’ of York Against the War takes first prize. 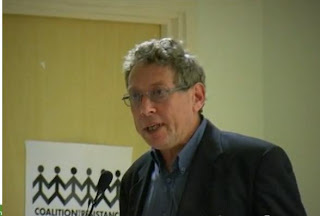 In recent weeks I have been contacted by a number of activists in and around York Palestine Solidarity Campaign. York Against the War held a meeting on Monday June 6th featuring no less than the racist jazzman himself. 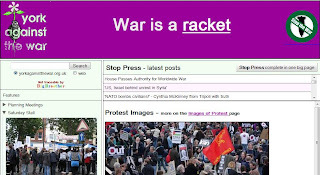 Quite what support for racism has to do with opposition to war is one of those conundrums that I will leave to others. Suffice to say I preferred to deal with the matter privately and thus did not blog on it at the time. Instead I wrote a letter to Bob, the organiser of York Against the War, protesting at the invitation of this racist: Entitled ‘Why is a Holocaust Denier, Gilad Atzmon Giving a Talk to York Against the War on 6th June?’ I copied the letter to the National Stop the War Committee, who have not replied. I have just been sent a flyer for a meeting that you are holding in York on 6th June with Gilad Atzmon. I am a Jewish member of Palestine solidarity as well as being active in the BDS Campaign. I find your decision, despite being fully informed as to who Atzmon is, outrageous. In your flyer, which I'm copying for the benefit of those who I'm copying in, you state that Atzmon 'has written extensively about Middle East issues from an anti-Zionist viewpoint'. Wrong. Atzmon is not an anti-Zionist. Atzmon is an anti-Semite, i.e. an anti-Jewish racist. Anti-Zionism is a form of anti-racism. Atzmon subsribes to the world Jewish conspiracy theorist so beloved of fascists. 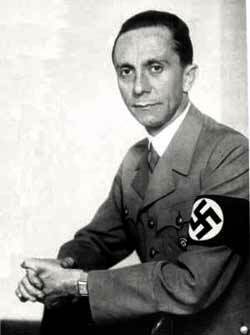 ‘Since America currently enjoys the status of the world's only super power and since all the Jews listed above declare themselves as devoted Zionists, [there is a list of Jews in the Bush White House - TG] we must begin to take the accusation that the Jewish people are trying to control the world very seriously.’ [essay 'on anti-Semitism']…. I trust that you can understand the word ‘If’ as in ‘If the Nazis ran a death factory in Auschwitz-Birkenau’. Atzmon seems to find this a matter of debate rather than fact. Try something like ‘If the USA rang Guantanamo’ to see how stupid and offensive it is. Anti-Zionism and holocaust denial are not compatible, quite the contrary. Zionism historically has been supported by anti-semites just as today the EDL and most far-right groups support the Israeli state. …. Your invitation to Atzmon is a disgrace, since I know you have been kept fully informed as to who you are inviting. Nick Griffin of the BNP was also opposed to the war but I assume that even you wouldn't have got down in the gutter to greet him. I am copying this to Stop the War Coalition nationally in order that they are kept in the picture. I have subsequently been contacted by Andrew Collingwood who is a member of York PSC. He has made it clear that, "I have subsequently decided to have nothing to do with York Against The War" and there is an article posted to this effect on this blog. This video speaks for itself. A young Jewish man dares to shout about human rights at the Jerusalem Day celebrations (for Zionism that is) and he is violently attacked by the Police, who take care to ensure that his mouth is covered by his keffiyah, thus preventing him from shouting or speaking. Note at the same time, the usual ‘death to the Arabs’ march takes place through the Old City. Of course in this case the ‘only democracy’ is fully in favour of ‘free speech’ so there are no arrests (of the racists that is). But none of this stopped the Israeli Police charging Lucas with attacking them! 19-year old 'Lucas' from Philadelphia was detained on Jerusalem Day earlier this month for 'attacking and biting a police officer'. For one American Jewish teenager, this year's Jerusalem Day earlier this month turned out to be an event not to remember, as he was detained for two days on suspicion of attacking and biting a police officer. 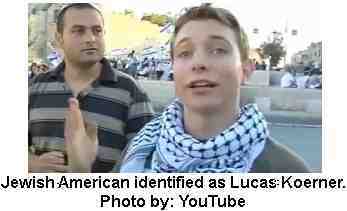 "Lucas," a 19 year-old from Philadelphia, cut a rather different figure in the Jerusalem Day flag parade in the capital. Like many participants in the event, he wore a skullcap on his head; unlike the others, however, a Palestinian flag and a keffiyeh were also part of his outfit. The youth, who arrived in Israel as part of a trip arranged by a Jewish-Christian group, claims he was attacked by a policeman during the celebrations. The parade turned ugly this year when a small group of participants walked through East Jerusalem, and the Old City's Muslim Quarter, chanting "death to Arabs." Lucas, with a few comrades, stood opposite these demonstrators, and shouted out slogans in support of ending Israel's occupation of the territories. He says that dozens of Palestinians gathered behind him, and formed a spontaneous protest. In a videotape, Lucas can be seen refusing to give policemen his passport, after he was apparently identified as the leader of the protest. After a few minutes, in the clip, a police officer is seen dragging Lucas forcibly into a police car. "Israel is occupying the Palestinian people in my name, in the name of world Jewry," Lucas, clutching his American passport, tells the camera. "And I myself, an American Jew, is here to say that is completely unjustified and ethically reprehensible. "And we, world Jewry and all people of the world, will not stop until this occupation ends and until the Palestinian people have their right - the right of return, the right to live without occupation, and equal rights within Israel. That is why we are here." Israel Police claims the young man attacked and bit an officer - however, the video does not show Lucas provoking any officers. It shows a group of policemen forcing him to the ground and handcuffing him; as a result, he required medical treatment afterward. For his part, Lucas adamantly denies that he attacked a police officer. "I didn't bite anyone," he says. "The police officer showed me his cuts [later], but they were caused by a sharp instrument, and there weren't any bite marks." Lucas was held in detention for two days. The Jerusalem Magistrate's Court denied a police request to extend his remand; at the advice of his lawyer and family, the youth left the country after being released. Thirty years ago, at the height of Thatcher’s monetarist induced recession, Brighton Unemployed Centre was formed by unemployed activists, the Trades Council and Workers Educational Association, as a voice and weapon of the unemployed. It was based in a small building in Coalbrook Road, long since demolished to make way for a bingo hall. In 1985 it moved nearer the centre of Brighton into larger premises, Prior House, after we had successfully brought pressure to bear on the then Tory Council. Faced with the accusation from the rich and the gutter press that the poor are either 'deserving' or 'undeserving' of help, that it is individual fecklnessness and sin rather than capitalism which causes unemployment, we have been at the forefront of fighting those who seek to demonise the unemployed and reduce the social wage whilst dividing us on the lines of race and ethnicity. The Centre had always been a radical place, a centre of organising against the fascists in the early 1980’s and a base for the oppressed and campaigning groups. The Centre always gave support to organised labour and the unions supporting for example the strike of the Ambulance workers in the late 1980’s, when Ken Clarke was Health Secretary, and the 1984-5 Miners Strike. Brighton Unemployed Centre provided facilities and support for all those taking industrial action and likewise supported the Poll Tax campaign, which helped bring down Thatcher, when millions of people refused to pay the hated poll tax. It was not surprising therefore that when the Labour Party under Kinnock abandoned socialist politics and started on the road to New Labour, that the Centre came under fire. In 1992 a Council Grant, which enabled us to employ 3 workers was frozen and then cut. The newly ennobled Steve Bassam, someone I’d squatted with when I first came to Brighton in 1974, and who had been a vocal supporter of the Labour Left [see my pamphlet ‘The Noble Sayings of Lord Bassam’ led the attack on the Centre. In 1996-7 civil war broke out at the Centre with between those who wanted the Centre to be just a charity and those of us who saw unemployment not as a matter of charity but an inevitable consequence of how capitalism operates. With the use of the dark arts, freezing its grant and threatening bankruptchy, the Council carved out a shaky majority. In 1997 after a prolonged civil war, the Centre split and the political wing departed. However we took with us over £20,000 from the political wing, which the charity had been unable to get their hands on, despite the Charity Commission at one stage freezing it, to set up a new Centre. In 1999 we set up a new Centre in Hollingdean. New Labour’s 3 sitting councillors greeted us with a petition complaining that we would bring in our wake, druggies, drunks and all-night parties. The Chair of the Planning Committee, Jean Lepper, wife of the local Labour MP, was one of these councillors and she and the Planning Committee (including its Green member, Pete West) blocked the grant of planning permission, despite the recommendation of planning officers in our favour. We ignored the committee and met Lepper’s petition of 125 people with one of over 200. About 8 months later, under the chairmanship of an old left-winger Chris Morley, the Planning Committee reversed itself unanimously and granted us both change of use and permission for our shutters! The new Centre itself was opened on May 1st 1999 by the late Ernie Trory, an old communist and one of the original hunger strikers of the 1930’s. And the icing on the cake of our 30th Birthday? Two of the three New Labour councillors – Pat Hawkes and Christine Simpson – lost their seats to the Greens in Hollingdean at the local elections this year! It is therefore entirely appropriate that we put on a gig at the Latest Music Bar in central Brighton to celebrate our first 30 years. Will Kaufman, an academic at the University of Central Lancashire, who is bringing out a book Woody Guthrie: Hard Times and Hard Travellin' this week , was our star and only performer! 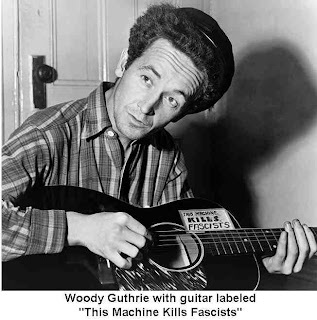 Guthrie, was the musical genius who portrayed the American dustbowl of the 1930’s, who stood alongside those fighting fascism, the Okies who migrated to escape unemployment, workers fighting the bosses hired goon squads sent in to destroy trade unions. Dylan paid homage to him as he was dying of Huntington’s Chorea, before going on to betray everything he stood for. Guthrie’s literary equivalent John Steinbeck, in his Grapes of Wrath also captured the flavour of the times. Kaufman is both a performer in his own right as well as an excellent interpreter of Guthrie’s music, which he has studied in depth. He performed a number of songs – Pretty Boy Floyd, This Land is Your Land, Do Re Mi - from Guthrie’s repertoire (some of which are captured below) including two of over 3,000 unpublished lyrics, which have been set to music by Billy Bragg. Kaufman interspersed his renditions of Guthrie’s songs with commentary on the context – the mass migration of the ‘Okies’ from Oklahoma to California. Attracted by false promises of good wages, only a tiny minority were employed in the fruit picking industry but the availability of thousands more hands ready to work ensured that the price of labour would be kept low. The Los Angeles Police Department, a byword for corruption, brutality and racism, set up illegal roadblocks on the highways into California to stop the influx of Okies. Although LA is situated by the Pacific Oceon, LAPD sent its men to the borders of California to mount these roadblocks against fellow Americans. Patriotism has never extended, of course, to the poor! Signs in bars would often say ‘No niggers, no dogs, no Okies’. Racism against Black people and hatred of the poor would inevitably combine in the eyes of the American state. Below are a few videos of the evening. At The Green Note this week, Will Kaufman will be launching his book ‘Hard Times & Hard Travellin’. Dr Will Kaufman presented 'Woody Guthrie: Hard Times and Hard Travellin' event on 8 March 2007. The hour-long musical programme was delivered by Dr Will Kaufman as part of the American Studies Resources Centre 20th Anniversary Guest Lecture programme at Liverpool John Moores University. During the event Dr Kaufman set the songs of Woody Guthrie in the context of the American 1930s: the Dust Bowl, the Depression, the New Deal and the state of popular music itself. He performed such hard-hitting Guthrie songs as 'Vigilante Man', 'Pretty Boy Floyd' and 'I Ain't Got No Home' and was in conversation with other songs of the Depression Era, such as Joe Hill's 'The Preacher and the Slave' and 'Brother, Can You Spare a Dime?'. These renditions, buttressed by detailed historical commentary, exemplified the blending of music and radical politics that marks Guthrie's most powerful and evocative work. Originally from New Jersey, Dr Kaufman is Reader in English and American Studies at the University of Central Lancashire. He has published widely on many aspects of American culture and has been a semi-professional folksinger and musician for over 30 years. He comes from a musical family (his brother, Steve Kaufman, is one of America's most celebrated bluegrass guitarists) and he is equally at home on the guitar, fiddle, banjo, mandolin and piano. We have all heard about the terrible things done by the Syrian regime under Assad, and the torture and mutilation of a 13 year old boy, Hamza al-Khatib. But about Bahrain, there is virtual silence. Not only from the BBC, which is to be expected, but from Al Jazeera, whose owner, the Emir of Quatar, is good friends of the Bahraini regime. Aided by military forces from Saudi Arabia, which never sends its forces outside its borders except with the agreement of the United State, i.e. 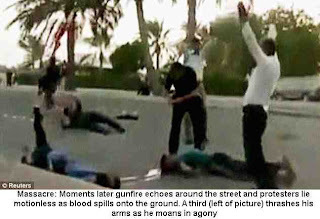 Obumah, the Bahraini Royal Family has launched a veritable wave of terror against its own population. Now the Bahraini regime has gone one step further, beyond even the barbarities that are normally associated with the Queen and Charles’s friends in that region. It has even arrested and tortured the doctors and nurses who treated the injured, after security forces injure and killed them. But whereas the Syrian regime is rightly being criticised for its murder and torture, barely a word is said about Bahrain’s regime. Because they are ‘our’ i.e. Western capitalism’s friends. Their King is invited to the Royal Wedding. Their security forces are invited to test out the latest weaponry in arms fairs. 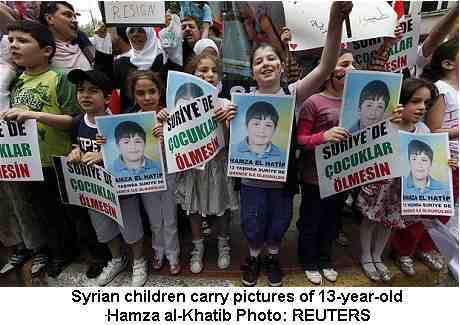 The Syrian regime, allied to Iran, is of course different and so ‘human rights’ are all in vogue there. Below is an article from today’s Independent and blow that an interview with Seymour Hersh, the Pulitzer Prize Winner and America’s prime investigative reporter, with a link to a further story in the Loss Angeles Times. Doctors and nurses put on trial in Bahrain yesterday told relatives they were beaten with hoses and wooden boards embedded with nails and made to eat faeces. They also had to stand without moving for hours, or even days, and were deprived of sleep in order to force them to sign false confessions. The Bahraini authorities have put on trial 47 doctors and nurses before a security tribunal, accusing them of trying to overthrow the government, though they say all they did was treat injured pro-democracy protesters. Relatives of the health workers, who were allowed to speak to them for 10 minutes after the hearing, said the accused alleged that they had been psychologically and physically abused during their confinement. One eyewitness said the health workers said the worst "forms of torture were during the interrogation in the Criminal Investigation Directorate (CID) in Adiya. But at the jail it was mainly humiliation and constant verbal abuse with the occasional beatings, however not as severe and extreme as at the CID." The trial is a sign that the end of martial law on 1 June has had no effect on the government's repression of the majority Shia community. The court trying the health workers, most of whom worked at the Salmaniya Medical Complex, has military prosecutors and military and civilian judges, suggesting the end to martial law may have been a ploy ahead of Formula One's decision to stage the Bahrain Grand Prix. Before the hearing yesterday, families of the doctors and nurses had only been able to communicate by phone. Lawyers had not seen their clients at all. Eyewitnesses said the appearance of the doctors confirmed fears of abuse. A witness told The Independent: "They were blindfolded and handcuffed and these were only removed when the [court] session began." The witness asked for their name to be withheld. The health workers were arraigned in two groups, some 20 being charged with felonies and the remainder with misdemeanours. The first group "all had their heads shaven. Most of them had lost a lot of weight. Most were either in casual attire or pyjamas." Some of the doctors are consultants with 20 years service with the Bahraini Health Ministry. The trial was adjourned until 13 June. An important book. 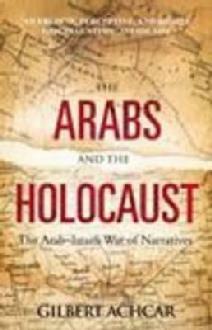 Gilbert Achcar’s ‘The Arabs & the Holocaust’ looks at the relationship of the Arabs and Palestinians to the Nazis . 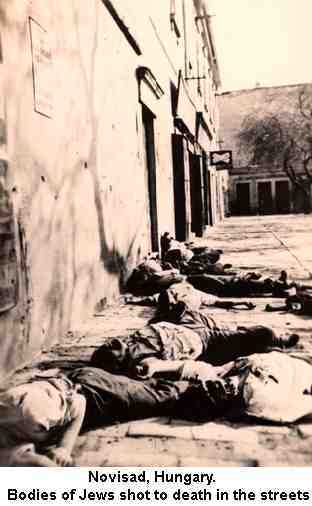 It demolishes a number of myths the Zionists have built up around the holocaust, such as the ‘fact’ that the Arabs and Palestinians were overwhelmingly sympathetic to the Nazis. Have reviewed it for the most recent edition, Volume 10 of the Journal of Holy Land Studies. But this first anti-Semitic act paved the way for three successive anti-Jewish laws in May 1938, May 1939 and August 1941. The first law imposed a ceiling (20%) on Jewish participation in the professions, the second law defined Jews racially and forbade their employment by the State and limited participation in other professions to 6%. The 3rd anti-Jewish law forbade sexual relations between Jews and non-Jews. These laws laid the basis for the Hungarian holocaust and the growth of the Hungarian Nazi Arrow Cross/Nyilas under Ferecz Sazalasi. 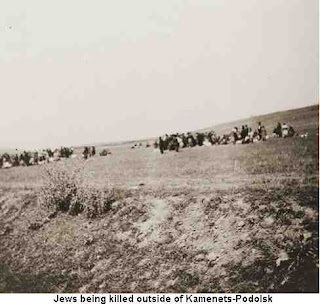 Although there was an interlude between the Bardossy government in 1942 (which had initiated the first massacres in Novi Sad in January 1942 and the first deportations to Kameniec-Podolsk in April 1941 when thousands of stateless Jews were murdered by the Nazis). [see Randolph Braham’s The Politics of Genocide – the Holocaust in Hungary]. It is therefore fitting that a new ‘numerus clausus’ directed at Arabs, and to a lesser extent the Haredi (Orthodox Jews in Israel who don’t serve in the army but who are represented in government by the ultra-racist Shas party) is now being enacted. Proposed by MKs Hamad Amar, David Rotem and Alex Miller of Yisrael Beteinu. But was is notable is that according to the Ha'aretz article below ‘it was an opposition MK, Otniel Schneller (Kadima), who was most ardently in favor:”. In fact what is being proposed has been done unofficially for years. Two years ago I covered the attempt of Israel Rail to make it a condition of working on the railways that one has served in the army! No you don’t need to be able to fire a gun to be a guard on a train but since only Jews serve in Israel’s army (bar the small Druze community and some Bedouin and Circassians) it was an easy way to bar Arabs from the best jobs. That time the racist were rumbled and backed off. But now the government is proposing to make this official. If you are an Arab you don’t belong in the civil service. This is an exact emulation of the 2nd Hungarian anti-Jewish law of May 1939. Below there is an excellent article by Aluf Benn of Ha’aretz making exactly these comparisons. The spirit of the proposed bill is more important than the language, and everyone is clear on its purpose: to get rid of the ultra-Orthodox and the Arabs. 01.06.11 By Aluf Benn Haaretz June 1, 2011. On July 22, the parliament in Budapest met to vote on Law Number 25 which established the entry requirements to universities in Hungary. The bill stated that for higher learning only those of "unblemished ethical standard, who have demonstrated loyalty to the Hungarian nation," would be let in, and that the university student body must reflect the nations and ethnic groups in the country in accordance to their relative numbers in the overall population. On the face of it, the bill was meant to ensure fair and equitable representation but everyone realized its real purpose: to dwindle the number of Jews among the student body. Only six percent of the Hungarian population was Jewish at the time, but they made up as much as 30 percent of the student body. When the bill was brought to a vote, most of the parliamentarians from the centrist parties were absent from the plenum. The bill passed with the votes of the extreme right wing and entered history as the Numerus Clausus Law, the first institutional expression of anti-Semitism in Europe during the interwar years. Among the thousands of Jewish students who abandoned Hungary were John von Neumann and Edward Teller, who went on to develop game theory and the hydrogen bomb. Their skills and those of their colleagues did not interest Hungarian nationalists. They wanted to throw the Jews out, even at the cost of a brain drain. Politicians in Budapest were only concerned about international pressure, which indeed eased the restrictions a few years later. But the damage had already been done: The Jewish geniuses were gone, and Hungary continued its downfall into fascism. The proposed Affirmative Action bill, which passed last week through the Knesset Constitution, Law and Justice Committee and is on its way to a preliminary reading, is marching along the same path. The bill proposed by MKs Hamad Amar, David Rotem and Alex Miller of Yisrael Beiteinu seeks to give preference for civil service jobs to those who served in the IDF. On the face of it, justice is being done in favor of "those who lay in ambush and risked their lives," to quote Amar, preferring them over those who evaded the draft and were able to go to university at age 18. But like in Hungary of 1920, so too in Israel of 2011, the spirit of the law is more important than the language, and everyone is clear on its purpose: to get rid of the Haredim and the Arabs. The state is the one that exempted them from mandatory military service and now wants to punish them for alleged "evasion." MK Rotem, who chairs the Knesset Law Committee, explained his position during discussions: "I hear constantly talk about the right to equality. I think that the military cemeteries should be closed, there is no equality there. They do not bury Arabs there." To the Shas representative MK Nissim Zeev, who opposed the bill, Rotem said: "I do not care about your world." Rotem responded rudely to the representatives of ministries who expressed reservations at the bill, saying it was redundant and possibly also illegal. "At noon today you will see how legal it is" Rotem told attorney Tziona Koenig-Yair, Commissioner for Equal Opportunities at the Workplace. "What is your [lawyer's] license number?" "19893," she said. Rotem then went on to deal with the Justice Ministry's representative, attorney Dan Oren: "And what is your license number?" What is the relevance, wondered Oren, and insisted: "It is our function and we have expertise in these matters." Koenig-Yair gave in: "I apologize to the chairman if there was something offensive in my statements." The government of Benjamin Netanyau, which has sought to oppress the Arab community since it was established, was, of course, in favor of the "Affirmative Action Bill." Not all committee MKs fell in line: Benny Begin voted against the bill in the preliminary reading, Isaac Herzog petitioned against it, but Rotem said that "he can no longer file a petition." During the vote in the Law Committee, it was an opposition MK, Otniel Schneller (Kadima), who was most ardently in favor: "From a moral point of view, I consider this a most important law," he said. Schneller joined the two representatives of Yisrael Beiteinu, and against the two Haredi MKs, passed the bill to the next stage. The nationalists in Israel, like their predecessors in Hungary during the past century, do not care about the loss of talent or exacerbation of domestic tensions. They are interested in harming minorities and pushing them out. And like their predecessors in the parliament in Budapest, the representatives of the center in our Knesset have opted to sit in the cafeteria instead of fighting racist bills. I can’t say I’ve ever heard of Colin Bell but he wrote to me at an e-mail address associated with this blog, but which I rarely use. So there was a delay in responding. He asked me what I had to fear from Atzmon and I replied nothing but that wasn’t a reason for not opposing him. I have to admit I was brusque with him, since he has an obsession about ‘Jewishness’. It is also clear, despite trying to teach him, that he knows nothing about Zionism if he queries whether Lord Shaftesbury, a key Evangelical Christian in Britain, was a Zionist. Herzl only held his conference in 1897 so he couldn’t have been! In fact the 1st Aliyah took place in 1882 following the Odessa pogrom amongst others in Czarist Russia in 1881 and the formation of Hovvei Zion by Leon Pinsker. In fact the first Zionist pamphlet was not Herzl’s der Judenstaat in 1895 but Moses Hess’s Rome & Jerusalem in 1862. Of course there was no reason by Bell should know this but since he didn’t he should go off and read a little before spouting his Atzmonite nonsense. Zionism didn’t just spring out of Herzl’s head. It was a movement or political current that had been steadily growing throughout the 19th century, mainly at the urging of non-Jews. The point is that the religious intonation, ‘next year in Jerusalem’ said every Passover, was just a spiritual longing which meant, as Bernard Lazarre, the famous Dreyfusard and anarchist, who broke with Herzl, a desire to be free. It was given political significance by Zionism. However if you are a simple Atzmonite then all this is besides the point. It’s all to do with ‘Jewishness’ and has no connection with the real world. So we have Colin Bell on the one hand wittering on about ‘Jewishness’ and how terrible Zionism is and the other hand telling me, like the good anti-semite he is, to ‘go back to Tel Aviv’ despite the fact that I’ve only been there once, over 40 years ago! This is though a good example of how anti-Semitism and Zionism are like siamese twins, each dependent on the other. Your last comment, that I 'should go back to Tel Aviv' confirms that you are a racist and an anti-semite, since I have never lived in Israel. So being Jewish means I should 'go back' to Israel. This was of course the slogan of the fascists in the '30's and of course many Jews did exactly that. The consequence being the establishment of the Israeli state. So, as with your mentor, Gilad Atzmon, when I scratch the surface out comes a Zionist who believes all Jews should 'go to Tel Aviv'. And like all Atzmon supporters you have nothing to contribute or say apart from your obsession with Jewishness. I won't however return the compliment of accusing you of working for Mossad or under cover since it is obvious you are too thick for even the stupidest 'intelligence' agency to make much use of. Your comments are a textbook example of how anti-semitism morphs into Zionism and so I shall distribute this widely in order that people can see a real living example and blog on it later. Probably your only moment of fame in an otherwise useless life. My interaction with you has confirmed to me that you are a fraud. I think you are 'working under cover' ? How do you afford the lifestyle you lead unless you are being financed by someone ? The positions you take up over Israel etc are very inconsistent. Go back to Tel Aviv Mr Greenstein. I will answer in coloured print. I will answer your questions and then finish ! 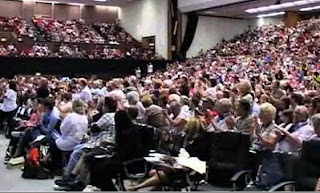 In your previous response you said that you 'spoke as a Jew' at the Unison National Conferences of 2008, & 2009. Why 'as a Jew' ? Why not as 'a concerned human being' ? Because unlike you I wished to see the motion passed and to defeat the Zionists' arguments. It was a collective decision. It was rather a good way of visibly defeating Zionist accusations of 'anti-semitism.' Most conference delegates thought so too. Hence why it was done today at the UCU Conference where an extremely important motion (see blog) was passed. The difference between us is that you are more preciously concerned with abstract notions of what is proper rather than wishing to take the struggle forward. ie. NO-ONE is allowed to question anything Jewish - unless they themselves are Jewish. I have never said that and my questioning is far more effective than your hero worship of Atzmon. Isn't that 'setting yourself apart' ? Do you believe that the state of Israel 'has a right to exist' ? I don't accept that any state has the 'right' to exist. It's not a human being but I've never accepted the right of a 'Jewish' State to exist. That should have been obvious to you. it seems that you are the Zionist since Dylan is and has been consciously aiding the Zionist movement, not least by his breaking of the cultural boycott, which Atzmon also opposes. unfortunately he died some 12 years BEFORE the political movement of zionism was created [ie. 1897] which creates certain problems when it comes to labelling him 'a zionist'. Your ignorance creates no problem. The first Aliya (wave of immigration) to Palestine was that of the Biluim in 1882 and Hovvei Zion was formed in 1881 and Rishon Le Zion, the first settlement in 1871. When extremist christians use christian symbols as their 'moniker', I think it is a reasonable question for someone to then ask "what exactly is meant by 'christian' ?" No what you ask, if indeed you bother, is what THEY mean by Christian. The same applies to 'Jewish'. Are you saying that Jewish people [typically] do not claim to be 'the chosen people' ? In certain situations they might, just as the Afrikaaners considered themselves chosen and the Blacks were the people of Ham. The question is what situation. Try reading a bit more widely about colonialism and then you will find out that all colonists thought of themselves as superior and therefore chosen and it therefore has nothing to do with the Jewish/Protestant/Catholic badge but to do with material circumstance. Gilad is a bit 'provocative' at times but that is not always such a bad thing I do not understand why that annoys you to the extent that it does ? I have never heard [or read] Gilad say anything in favour of zionism. Can I join the 'Jewish anti-zionist Group' [as a non-Jew] ? No. You are sympathetic to a racist and don't even recognise racism when it stares you in the face. Jewish groups are there to maximise support for the Palestinians, nothing more. We work with non-Jews and don't question as to why someone defines themselves as Jewish. Which is why people like Ghada Karmi and Sue Blackwell, who are not Jewish, attended our founding conference as equals. I suspect not; then surely you are 'setting yourselves apart' ? How can you give opinions 'as a Jew' when you contend that, as far as you are concerned, there is no such thing as 'Jewishness' ? I don't understand. It's not the only thing u don't understand. Being Jewish isn't dependent on Atzmon's nonsensical racial formulation. You say that Marx's writings on 'The Jewish Question' was 'a critique of the religion primarily'. So presumably you are saying that 'there is more to 'Jewishness' than mere religion ? Yet a few sentences before this you were asserting that "there is no such thing as 'Jewishness'", and that to suggest that there is is 'racist' !!? You will understand more, assuming you understand it to begin with, if you read Abram Leon's 'Jewish Question: A Marxist Interpretation'. Then all your nonsense about 'Jewishness' and reducing being Jewish to an essentialist condition will fall into place. Religion reflects material surroundings and functions. 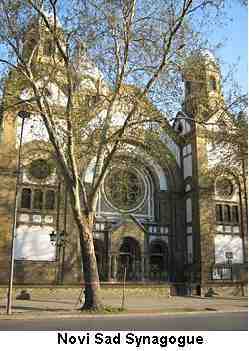 The Jewish religion reflected the changed fortunes of Jews. As circumstances changed and the role of Jews changed, so did the religion. Try reading someone who knew something as opposed to an ignoramus like Atzmon who knows nothing. Because it is apparent from his essay that he only grasped this tenuously. There was no reason why he should have known anything about the mass of Jews in the Pales of Settlement. But Marxism is a form of analysis, a means of understanding the world, not in terms of bourgeois ideology or its fragments (like Jewishness). It isn't a bible. You quote Marx as if he wrote the Gospel but Marx always warned against this reification. Idolatry is for heathens. Since I was mentioning the fact that Marx [the philosopher] was intrigued by the meaning of 'Jewishness' and you seem to hate Gilad for pondering the meaning of 'Jewishness' I don't see how my observation is 'out of context' it seems very relevant to me. If Gilad is worthy of hatred for his pondering; why not Marx ? I don't hate Atzmon, I have contempt for him but that's different. I don't agree with 'everything' that anyone says and that includes Gilad but I do not feel the need to hate them for expressing a different view than my own [I think that Gilad comes up with some very interesting observations] nor would I wish to 'intimidate them into silence' That smacks of 'fear' to me however much you wish to deny it. I don't doubt that you find his meanderings interesting. I find them boring and unoriginal. Finally, if you really do wish to see a secular state in Palestine for ALL the people then we are perhaps not so different. I do not understand how the antics of you and your associates in attempting to 'close down' the talk on May 3rd in any way helped the Palestinian cause. I don't recall trying to close down Atzmon's talk. All I did was expose the fact that a 'panel' to debate Atzmon's concept of Jewishness did nothing to support the Palestinians, quite the contrary and the academics on board seemed to agree. because the notion of 'Jewishness' is at the very heart of the project to colonize the land of Palestine Your thinking is too 'black and white' for me Mr Greenstein. I suspect any thinking is a bit much for you Colin. I've never said I was different because I'm Jewish. Quote where I've said that. This is part of the Atzmon poison. To make people take their eye off solidarity with the Palestinians and concentrate on Jews per se. It's a political ignorance that ends up in the fatuous statement of Atzmon that Zionism and the Israeli state have 'absolutely' nothing to do with colonialism. Presumably AJ Balfour (if you've heard of him), Palmerstone, Lord Shaftesbury and all the other imperialists from the mid-19th century onwards, were supportive of the 'Jews return to Palestine' because they were genuine romantics at heart. And because the focus is on Jews and 'Jewishness' and colonialism is excused, there is really no need for a Boycott of Israel because it isn't Israel that is really responsible but diaspora Jews who control Israel. Oh yes, it's all in Atzmon's turgid writings but I doubt if you've read them either. Atzmon may be posing some questions, but they are the wrong ones, and he is not a disinterested party but one keen on dividing the PS movement up into Jewish and non-Jewish. Or maybe it's debate that he is really after. Perhaps a debate on wh ether the holocaust occurred or whether we should use terms like 'socialist jewnity' and other little racist quips. No doubt we can have a debate on the 'n' word while we are at it. I prefer debating over matters of importance, not the racial fantasies of your hero. Yes I know I could have fooled you. It's like taking candy from a kid, hence why it's not worth the effort. There was no proscribing of the meeting. I couldn't care if it took place. We simply suggested to those who did have something to say, viz. the 2 academics who pulled out, that sharing a platform with Atzmon wasn't compatible with support for the Palestinians or opposition to Zionism. They seem to have agreed but I doubt you really understand the issues since debating Atzmon's obsessions is more important to you than solidarity. Since I've never talked of a 'Jewish perspective' there is not much point arguing with you, since you invent things to find something to say. You are really a complete idiot. Either try reading what I say or go and find someone else to listen to your drivel. For the last time, being Jewish to me is only important when opposing racism - be it Zionism or any other form of racism. Period. Got that? Sunk in to your thick head? And the reason why I tire of fools like you is you achieve nothing except to set back support for the Palestinians. Other than that you do nothing because you represent nothing. When some of us try to build the BDS movement in the trade unions we have to pretend that people like you don't exist because otherwise we would have great difficulty in building such support. It's bad enough with Palestinian quislings like Abbas but you don't even have his excuses. I'm well aware, as I've already said, of what Marx wrote in the 1840's and indeed what Moses Hess wrote in the 1860's. But surprising as it may seem the world has changed since then and Jews who existed then have disappeared. Indeed they were already disappearing as feudalism gave way to capitalism in Eastern Europe. So if you are clinging to Marx I'd think again, he won't provide u with a liferaft. Yes Jews were opposed to Zionism until the holocaust that Atzmon questions. I guess the murder of millions somewhat changed things. Surprising isn't it? Any other insights? I wish I could say that it was worth the wait. Unfortunately I can't. I never thought it would be so easy to dismantle your argument. Your response is unnecessarily convoluted, complex, and confused. This is why I contend that your whole position is actually a sham. You fail miserably to construct a coherent argument. you are the people who keep stressing the notion that you are so different and why are you different ? Because you are Jewish [according to you] Yet by some quirky thinking you come to the conclusion that everything is somehow coming from me !!? In the talk on May 3rd Gilad was simply posing questions and seeking to debate possible answers That is how one conducts a discussion on anything or do you disagree ? Meanwhile you and your associates sought to 'proscribe' the meeting and yet you assert the idea that it is you and your friends who stand for 'freedom, and liberty' You could have fooled me. a club for which anyone who is not 'Jewish' is refused entry and you don't think that this is 'elitist' and 'racist' ? [I wonder; do you breathe 'Jewish air' ? or do you breathe the same air as the rest of us mere mortals ? we wouldn't want to contaminate you after all] Yet Gilad, because he questions this 'ghetto mentality' IS racist for doing so. I think you have got the 'cart before the horse' and if some previous speakers were so easily intimidated; that is their affair. If most Jews opposed zionism [as you contend] there wouldn't be a 'Jewish state'. Yes, I agree, zionism was/ is supported by other groups in the creation, and expansion, of their 'Jewish' project but these other groups don't run Israel do they ? You profess to be an 'anti-zionist' and yet you use the self same language as the zionists in denouncing people who challenge your assertions. ie. 'Racist', 'anti-semite', and 'self-hater'. Gilad wonders about the meaning of 'Jewishness' [as did Karl Marx] and you freely admit that you 'haven't got a clue' as to what 'Jewishness' is; yet you feel qualified to denounce him as a 'racist' for examining the possible meanings of such a concept !? That simply doesn't make sense. in other words Jewishness, by it's very nature, is both 'partial and exclusive' as opposed to 'universal and inclusive'. That doesn't sound very different from what Gilad is saying to me. I think you need to re-read Marx [if indeed you have ever read him in the first place] Take down the barriers Mr Greenstein, we are not all savages out here. As for 'not suffering fools gladly'; I would stay away from the mirror ! It is true that I don’t suffer fools gladly and I am therefore somewhat impatient with those who don’t get it or refuse to get it at times. No matter let’s deal with the substance of your argument, such as it is. Now how can you identify a whole group by virtue of religion/race/ethnicity as subscribing to one particular ideology? Not Israeli Jews or even a part thereof but all Jews. The fact that most Jews opposed Zionism when it first began and its most vociferous supporters were Christian seems lost on him. See So that is racist and anti-Semitic for a start. You say that I am ‘a zionist bigot’, but of course offer no argument in support of that statement. So why am I a Zionist? Having opposed Zionism for over 40 years what is your basis for this silly assertion? Maybe it was moving a resolution calling for a unitary democratic secular state at the 1977 NUS Conference was the action of a ‘Zionist bigot’? Or maybe co-founding Palestine Solidarity Campaign? Or maybe it was forming the Labour Committee on Palestine which successfully moved an emergency motion to the 1982 Labour Party conference supporting a democratic secular state in Palestine? Or the countless times I have argued on campuses, stalls, meetings etc. against Zionism? Or the policies of the student union where I was Vice President or that of Sussex University and many other educational establishments where I have spoken at Union General Meetings? Or perhaps it was speaking as a Jew, quite deliberately, at the 2008 and 2009 UNISON national conference in support of Boycott? The decision that I should speak as someone Jewish was a decision of the movers of the motion as a group. I realise that my record probably doesn’t stand comparison with your magnificent record but that’s how the cookie crumbles. So tell me. Why am I a Zionist for supporting Boycott successfully in my union and Atzmon, who opposed the academic boycott is an anti-Zionist? And if you didn’t already know his opposition to the academic boycott was because those supporting it in UCU also oppose Atzmon’s anti-Semitism because they know, living in the real world, that anti-Semitism means death to support for the Palestinians in anything other than your little gatherings of conspiracy theorists. And calling me a Zionist when I'm a Jewish anti-Zionist is in itself anti-Semitic. I'm sure even you can work that one out. Jewish identity politics are no more tribal than any form of identity politics. Zionism is clearly tribal but so is Wahhabism. Likewise the Afrikaaners (clue – they were also settler colonists). I’m not aware that Jewish anti-Zionists do set themselves apart. They are part of the general Boycott movement. Jews 4 Boycotting Israeli Goods started off the Ahava protest and in that they were joined by many others, but clearly not yourself. There’s nothing elitist in that. Yes the symbols of Zionism are Jewish. Just as the symbol of Protestant supremacy in Ireland were Christian and the symbols of the American settlers were cowboy hats and wagons. The fact that Zionism has used Jewish religious symbolism doesn’t mean that those symbols were responsible for Zionism. I know it’s a difficult argument but you see, as Bob Dylan observed, every state or nation at war uses god on their side. The fact that Zionism claims that it represents all Jews, except the ‘traitors’ and ‘self-haters’ (like the protesters who got beaten up at the Aipac conference heckling Netanyahu a couple of days go) doesn’t mean it does. For one thing there is also a Jewish identity that looks to traditions of Jewish anti-racism. Zionism may be a majority current among Jews worldwide but its grip is slowly loosening. There are other currents and in that sense it’s signficant that Atzmon rails against the Jewish Bund which represented the Polish Jewish masses and which was anti-Zionist. Atzmon actually welcomes the triumph of Zionism within world Jewry which is reason enough to suspect him. Atzmon represents a reflection of Zionist racism and claims this as an insight! I haven’t claimed to be of any ‘chosen people’ and therefore don’t know what you are talking about. Zionists may make such a claim but I don’t. What is Jewishness? Haven’t a clue. 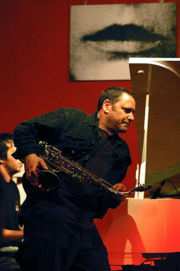 Atzmon is the one who uses the term not me. I suspect he means a metaphysical substance that binds all Jews together. It is an ingredient of his racist outpourings but I don’t recognise that there is any such thing. I’m well aware of Marx’s essay On the Jewish Question. It was firstly in the context of a debate with Otto Bauer about why Jews should be granted equal rights and be emancipated. It was a critique of the religion primarily. Marx was very little aware of how the Jewish masses were becoming proletarianised and pauperised. Mere quotes out of context say little or nothing. I’ve said what I stand for – a democratic, secular state in Palestine for all who live there. The question is rather what you stand for. I'm copying this to the J-Big list as an example of the muddle and confusion of Atzmon's supporters. So to ask the question 'What exactly is 'Jewishness' ? seems like a fair question to me. 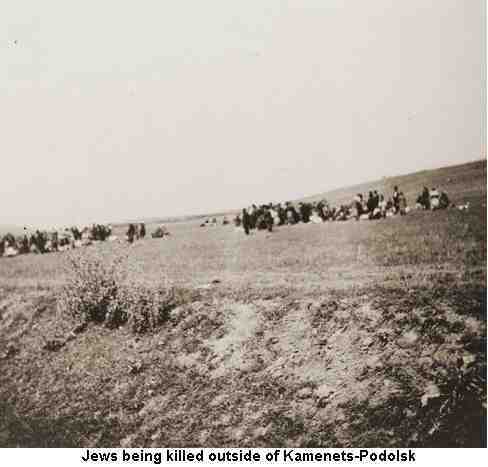 All this carnage is wrought in the name of 'Jewish' after all isn't it ? I think it is a very pertinent question; because if Jewish people continually stress the idea that they are somehow 'different' from the rest of us whilst simultaneously claiming to be the 'chosen' people .... they shouldn't be surprised when people view them as being different and a threat. [They seem to me to 'want to have their cake, and eat it' !!] This view of being different [never mind superior] is a form of 'class division' as far as I am concerned and I notice that the man most famous for his opposition to 'class division' [Karl Marx] wrote extensively on 'The Jewish Question' and the historic problems associated with Jewish 'partiality'; in both 1843 and 1844. No doubt if Marx were alive today you would be accusing him of being 'dim', 'anti-semitic', and a 'racist' ? Yet you claim to be a 'man of the Left' ?? I think you [and many of your chums] are actually closet fascists; you want to tell everyone what to think. Well, not me Mr Greenstein. PS. It took you long enough to respond. You mistake fear for opposition. Both academics involved in the academic pulled out from speaking with this racist. A couple of minor figures were added but we didn't much care as we had made our point. No one with any reputation to defend will associate with a racist because people who are not as dim as you will understand that racism is not something likely to be of benefit to the Palestinians. It was a very interesting discussion. Perhaps you should buy Gilad's book 'The wandering who ?' Then you might understand what he is saying. Don't live your life in fear.